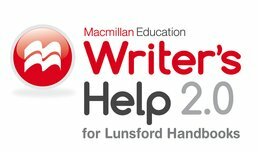 As a powerful online resource, Writer's Help 2.0, Lunsford Version teaches you to write well, a critical skill for academic success. Access expert writing advice as you develop writing skills for a wide range of genres, purposes, audiences, and contexts. Search for help with your writing, quiz yourself to improve your grammar, and check out sample papers to help you learn more and improve your writing. Andrea Lunsford, Louise Hewlett Nixon Professor of English emerita and former Director of the Program in Writing and Rhetoric at Stanford University, joined the Stanford faculty in 2000. 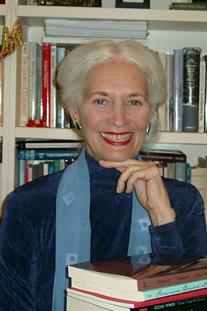 Prior to this appointment, Lunsford was Distinguished Professor of English at The Ohio State University (1986-2000). She has also been Associate Professor and Director of Writing at the University of British Columbia (1977-86). Currently a member of the faculty of the Bread Loaf School of English, Professor Lunsford earned her B.A. and M.A. degrees from the University of Florida and completed her Ph.D. in English at The Ohio State University (1977). Professor Lunsford's scholarly interests include contemporary rhetorical theory, women and the history of rhetoric, collaboration and collaborative writing, current cultures of writing, intellectual property and composing, style, and technologies of writing. She has written or coauthored many books, including Essays on Classical Rhetoric and Modern Discourse; Singular Texts/Plural Authors: Perspectives on Collaborative Writing; and Reclaiming Rhetorica: Women in the History of Rhetoric, as well as numerous chapters and articles. For Bedford/St. Martin’s, she is the author of The St. Martin's Handbook, The Everyday Writer, EasyWriter, and Writing in Action; the co-author (with John Ruszkiewicz) of Everything’s an Argument and (with John Ruszkiewicz and Keith Walters) of Everything’s an Argument with Readings; and the co-author (with Lisa Ede) of Writing Together: Collaboration in Theory and Practice. Professor Lunsford has conducted workshops on writing and program reviews at dozens of North American universities, served as Chair of the Conference on College Composition and Communication, as Chair of the Modern Language Association Division on Writing, and as a member of the MLA Executive Council.